Raymond Carver was perhaps best known for his prolific collections of short stories and poetry. I initially learned about What We Talk About When We Talk About Love in an Esquire magazine feature, where it was included in a list of "must-reads" for men. Of course being female, I was instantly intrigued by the list, and added a number of its books to my reading wish list. There are 17 short stories in this collection, most of which are about 3 to 4 pages long. Practically each story is a gritty account of someone's downfall in life, and reflects our less-humane sides that are usually kept behind closed doors. Most of the stories appear to take place in the suburbs of Seattle in Washington state (there are numerous references to this region) during the time this collection was written. Some of the stories are about individuals, some are about couples whose relationships have fallen apart, some are about family, and a few are about best friends. The stories are not all written from a man's point of view as you might expect. My two favorite stories in What We Talk About When We Talk About Love are "Tell the Women We're Going" and "Popular Mechanics," both of which have endings that are so jarring and disturbing that I enjoyed them simply for the shock-value alone. Frankly speaking, I've never in my life been a fan of short stories or poetry, both of which I find are alike in many ways. I fail to see the art and beauty in most short story and poetry collections, and think most are nonsensical. 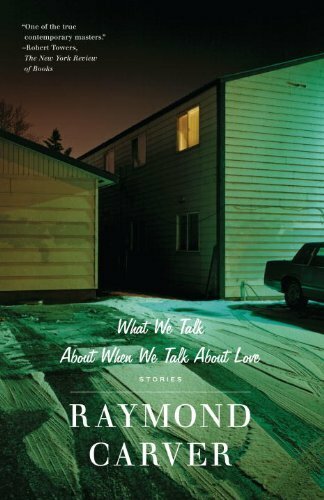 However, I do recognize that Raymond Carver is an excellent writer because I was glued to this book from beginning to end - even though I failed to enjoy and fully acknowledge the genius of his work in this collection. Carver's prose and style are definitely top-notch. I wouldn't outwardly recommend What We Talk About When We Talk About Love to readers today. Yes, Carver's works are considered classics, but the stories are dated - most of them are not timeless. While reading this novel, I found myself transported to the set of a 1970s movie - cigarette smoke lingering in the air and all. Other notable works by Raymond Carver include The Furious Seasons, Will You Please Be Quiet, Please?, Cathedral, and Elephant. 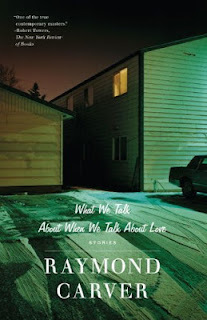 What do you think about Raymond Carver's work? What are your favorite collections? Share your thoughts with us in the comments section below.